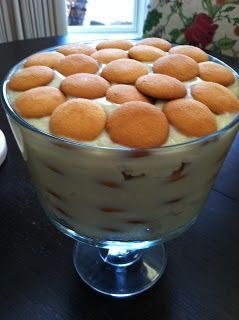 I found a recipe making the rounds on Facebook for Southern Banana Pudding and suddenly I was back in the kitchen of my childhood on a Sunday morning after church making banana pudding as Mother instructed me on how to make it. Sunday dinners (which in the South means the noon meal) were the biggest and fanciest meals of the week. Inevitably they meant we had either pot roast, which cooked in the oven while we were at church, chicken fried steak, fried chicken, or some other delicious meat that we didn’t ordinarily have during the week. Along with that, we’d had mashed potatoes (always! ), homemade gravy and two or three other vegetables, often picked right out of our backyard garden. Then, of course, we’d have one of Mother’s delicious cobblers or pies. Mother sometimes made cakes, but as she was always quick to point out, “Your Aunt Mary is the cake expert, while I prefer to make pies.” Mother had the best pie crust I’ve ever eaten and her cobblers were so delicious that often I would try to skip the meal right on over to cobbler, but Mother never allowed that, of course! If Mother hadn’t made what she called a “real dessert,” we’d make banana pudding or we’d whip up a lemon meringue pie or chocolate meringue pie. I loved Sunday dinners because that was when Mother’s wonderful cooking shined and when she taught me how to cook. Sometimes it would just be Daddy, Mother and I eating these huge meals, but oftentimes other family would come over too. If it was just Daddy, Mother and I, we’d save the leftovers and eat them for Sunday supper and continue eating them throughout the week. My favorite was Mother’s pot roast dinners because that meant on Sunday evening we’d have roast beef sandwiches with warmed gravy to top them off. I think I enjoyed that almost more than the big meal at noon. Isn’t it funny how seeing one old recipe can spark so many wonderful memories in our minds? As I’m writing this, I’m seeing our old kitchen in my mind with the yellow countertops, antique white cabinets, and our old O’Keeffe and Merritt stove that cooked better than any stove I’ve ever used. 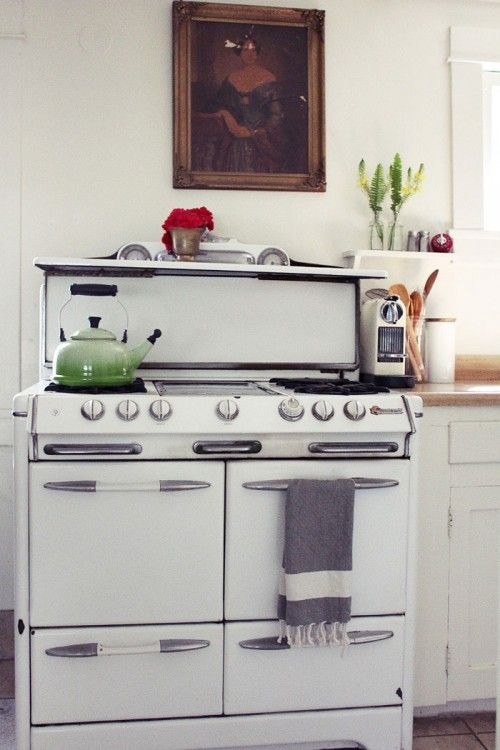 It was huge, old-fashioned, and I was always a little embarrassed that we didn’t have a built-in stovetop and oven like my friends’ homes had, but in all honesty, that old stove was far better. I’ve seen a revival of interest over the last 20 years in these stoves. I’ve especially seen them in many television sitcom kitchens and am always surprised. 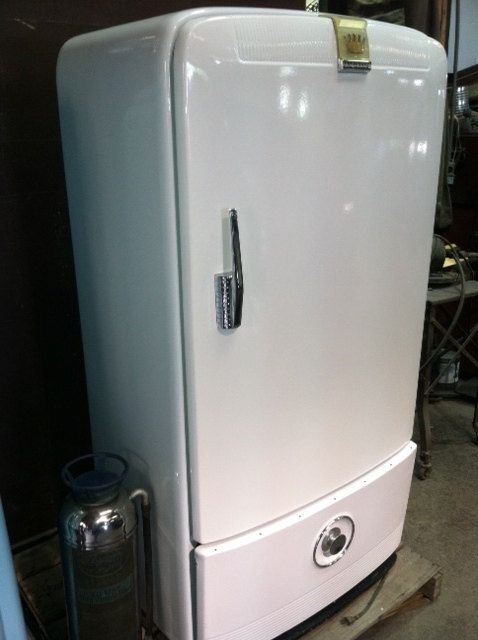 We also had an old Frigidaire refrigerator that wasn’t really very old at the time, but always seemed that way. Those, too, have become very popular again in vintage kitchens. I guess it is true that given enough time, everything comes back in style! Thanks for going down memory lane with me today! I must admit, there are days when I really enjoy these trips!